Class 13 enjoyed this morning's visitor. 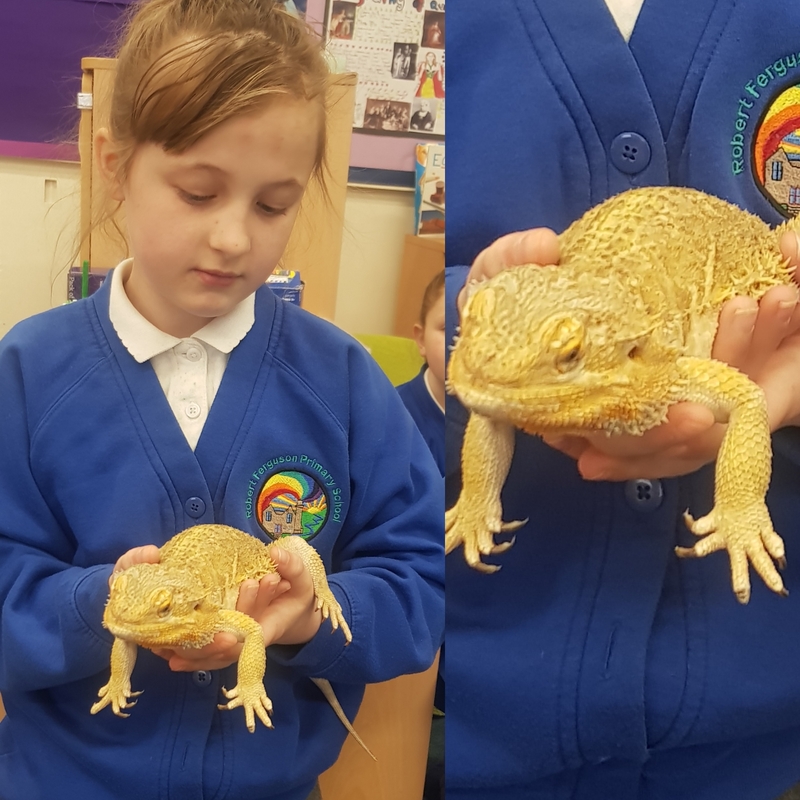 Thanks for coming in to see us, Beardy! A massive well done to the children who raised �43.07 for Cancer Research! They worked hard to bake biscuits and cakes for years 4, 5 and 6 on Friday 29th March. Fantastic teamwork! The children have demonstrated amazing resilience making their teddies this term. 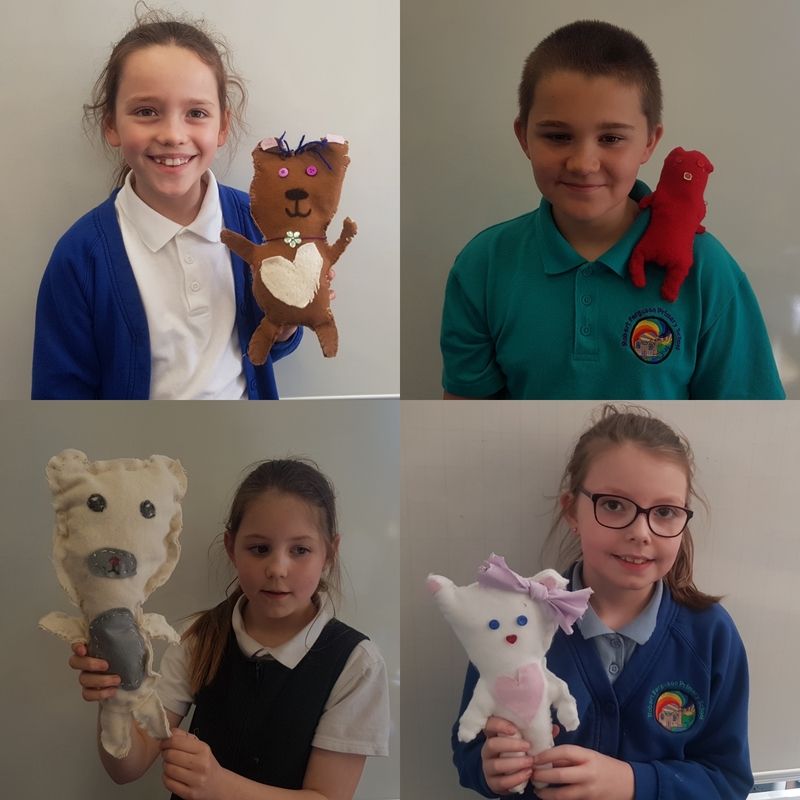 They are delighted with their final products and have really improved their sewing skills. Well done, Class 13! What an amazing final day of Fairtrade Fortnight! 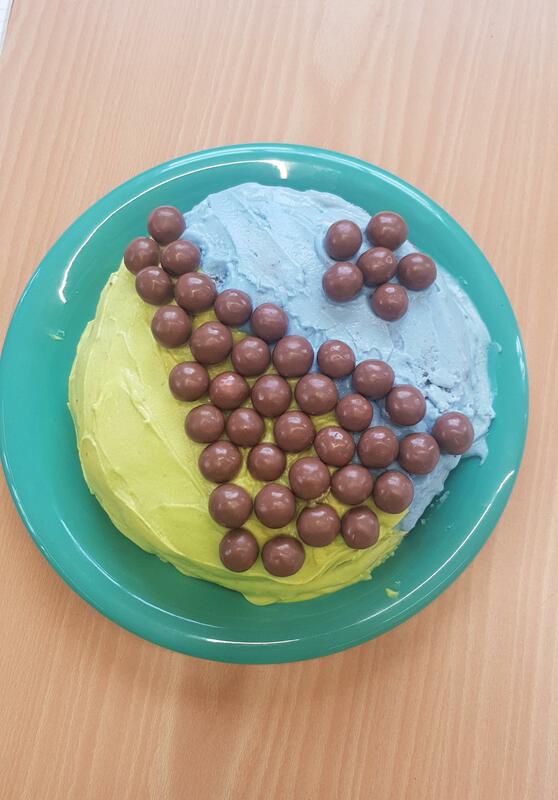 Class 13 are very proud of their team effort to make their Fairtrade Malteaser chocolate cake and can't wait to taste it! 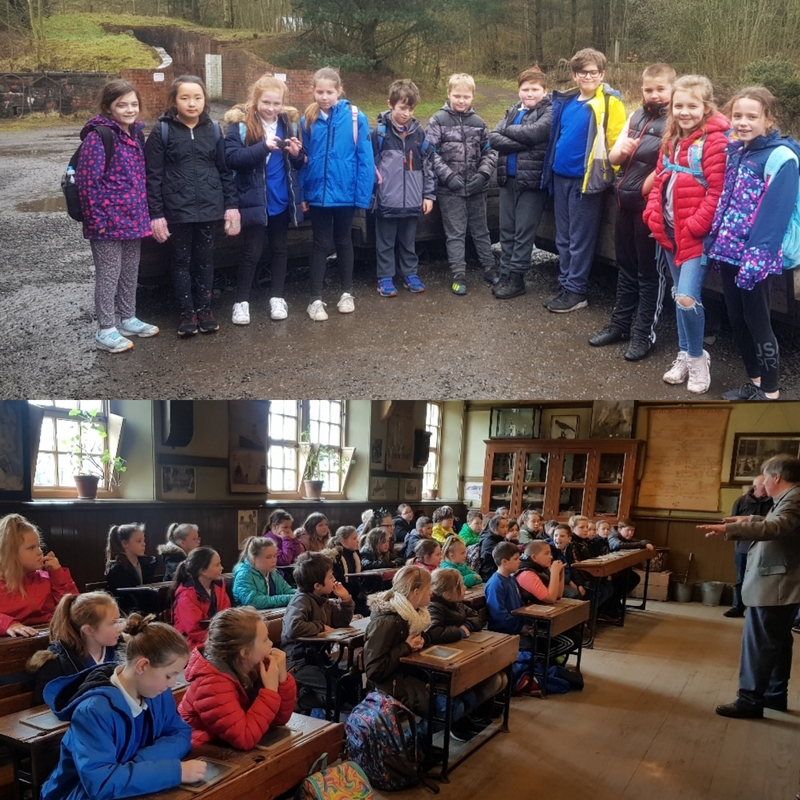 Year 5 had a fantastic day in 1913 today at Beamish! 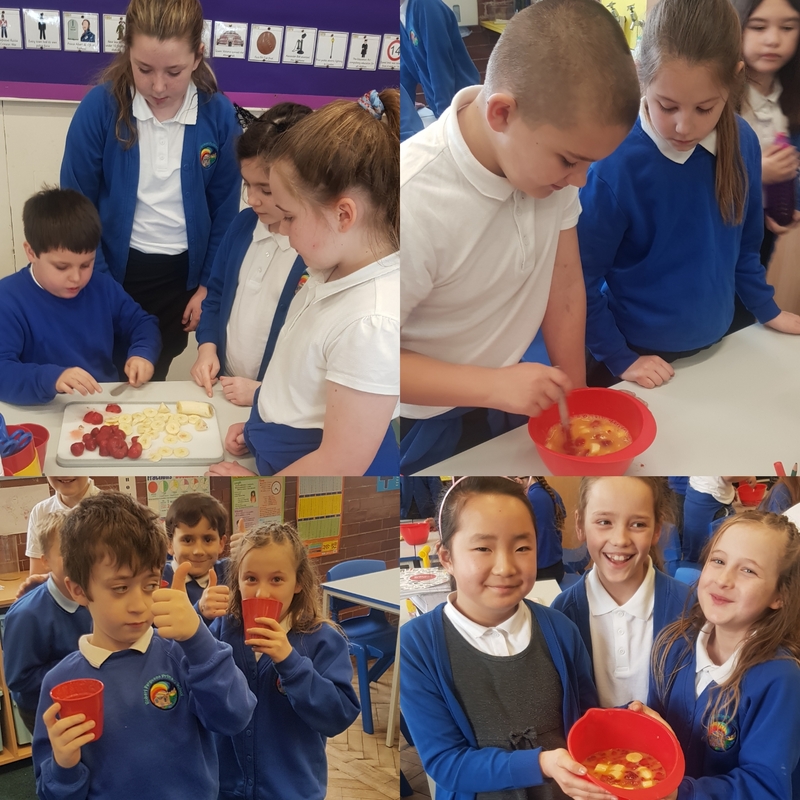 Class 13 loved making smoothies this morning using Fairtrade bananas to kick off Faitrade fortnight! Investigating air resistance this week required good teamwork in Class 13. 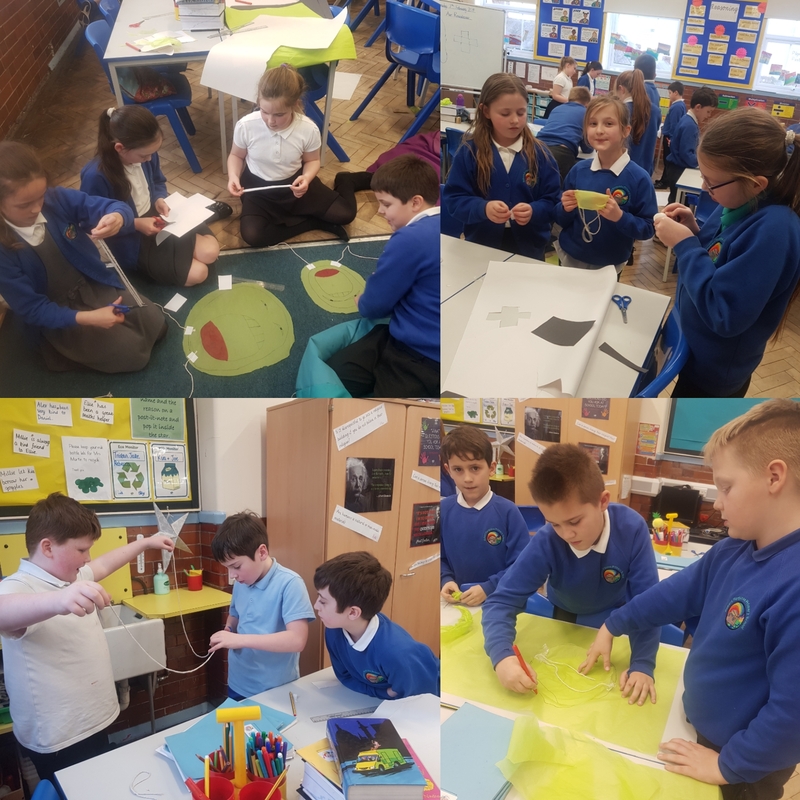 The children had to make sure their parachutes were identical with only one variable changed, in order to conduct a fair test. 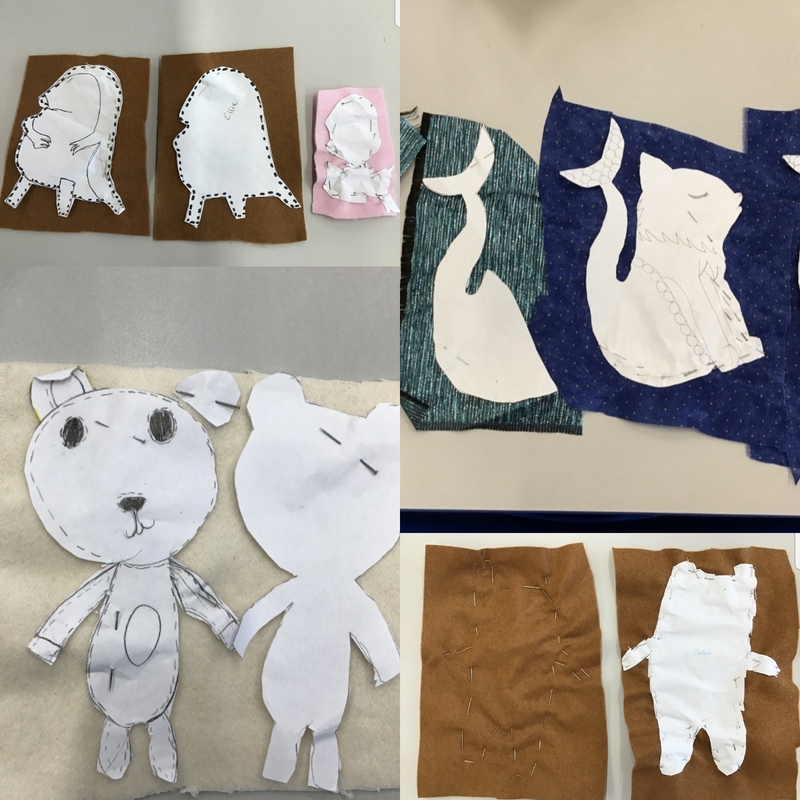 Class 13 were very busy this afternoon finishing their teddy templates and pinning them to their chosen fabric. Where else would you find a pangolin, a mer-wolf and a couple of bears in the same room?! Wow! We are amazed by the creative bookmark designs in Class 13. 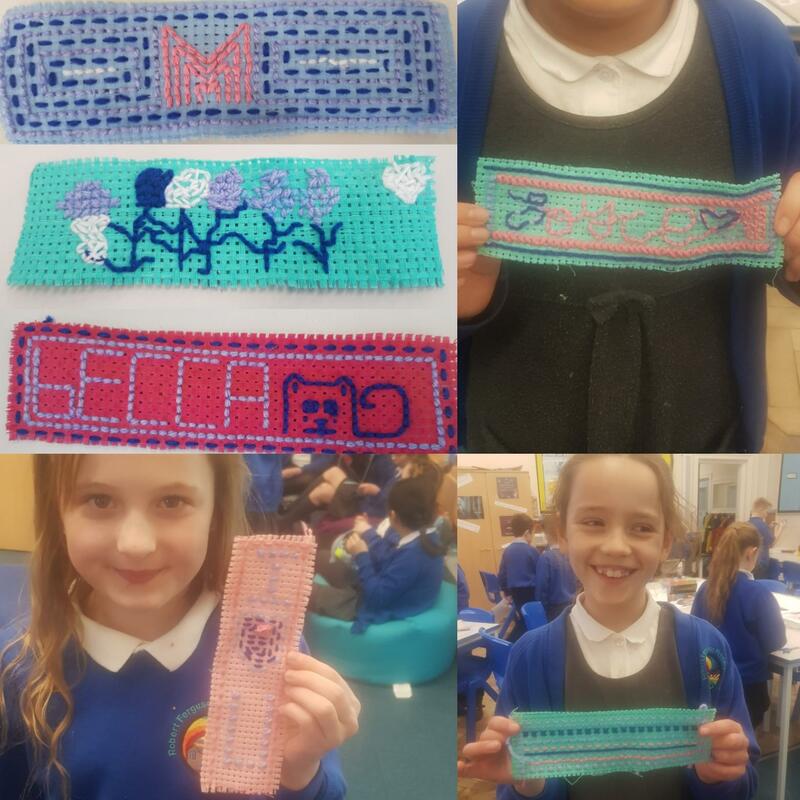 The children enjoyed teaching each other different types of stitches and sharing their skills when they mastered a new one. 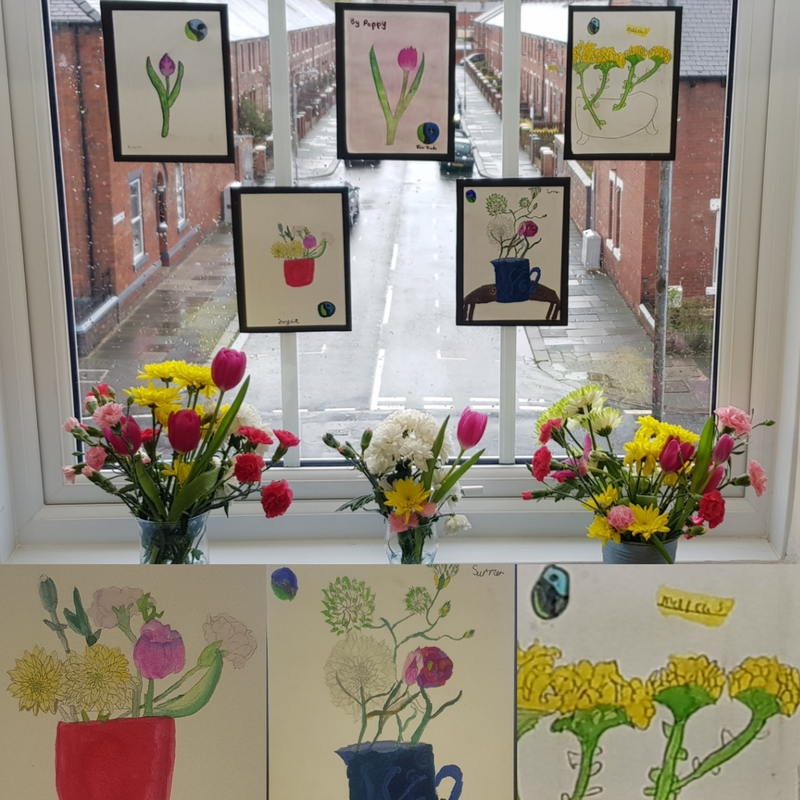 Well done, year 5! This term we are learning all about The Victorians. We will explore what life was like for Victorian children by re-enacting a Victorian school day, reading a range of Victorian themed texts in English, developing our embroidery and sewing skills as well as having a visit to Beamish. The children will explore how the Victorian era played a crucial role in the development of technology as we know it today by researching some key inventors. Our class read is Street Child by Berlie Doherty. Children will continue to need to bring their PE kits on Fridays and swimming kits on Wednesdays. Children will be given a new list of spellings in their homework book every Friday, along with some word meanings to find out linked to our topic. Homework books should be returned to school by Thursday, ready for learning to be checked on Friday. Children are also expected to read regularly at home. Please continue to support your child's progress in reading by hearing them read as much as possible and asking questions about what they have read. Reading to your child also continues to be important in year 5 as it can play a huge role in developing understanding and building on vocabulary by enabling children to access more sophisticated texts. The children continue to have access to Timestable Rockstars and it's great to see their enthusiasm for this has carried on into the Spring term. We are aiming for instant recall of all times tables up to 12, as well as knowledge of division facts. 'Hit the Button' is another useful online game to help children learn their times tables. Please see the link below. You can find extra homework activity ideas in the grid in their homework book.